Furber Roofing can provide a re-roofing service using our fully trained experienced teams you can be assured of a quality professional finish providing the highest quality workmanship and an unmatched level of expertise in re-roofing of all properties; Domestic and Commercial. All our tradesmen are highly experienced, skilled craftsmen who take a great pride in their attention to detail and are fully trained in Health & Safety with regular training and updating of skills. Our qualified surveyors are available to advise on technical issues and also provide samples of all current slates/tiles available. We can recover your roof using a huge range of new natural slates in various colours and sizes which are sourced from many different countries throughout the world. 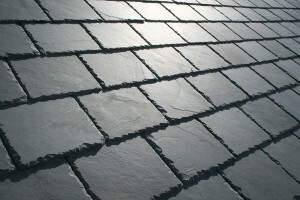 There are also many different man made slates available from leading manufactures including fibre cement to slate/resin slates or good quality second hand Welsh slates. Re-roofing involves the stripping off of the old slates and timber battens, fitting new breathable felt with new timber battens and re-slating using a slate of your choice or simply re-using the existing slates stripped from your roof; sorted and pre-selected for quality. 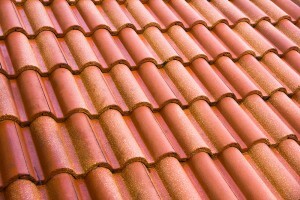 In most cases the hip or ridge tiles are dry fixed. We have a vast experience re-roofing using both concrete or clay roofing products supplied by all the leading manufacturers; there is a huge choice of tile profile, textures and colours available. With our exceptional knowledge we are happy to advise on the right tile to suit you and your property proving a long lasting waterproof system which will enhance and compliment your property for many years to come. At Furber Roofing it is our belief that to sustain the continued success of our company, we must evolve accordingly to industry requirements and more pertinently provide our customers with a “one stop shop” for all aspects of roofing. We have in implemented this by offering a fully operational scaffolding service that runs in conjunction with our roofing section and to our knowledge means we are the only roofing contractor in the region to be able to provide this comprehensive service. There has been a huge investment to provide this service, purchasing new premises – expanding our business – which has enabled us to house this ‘Scaffolding Department’ and subsequently have employed several new employees locally, who are fully trained and equipped with several new scaffolding trucks; working hand in hand with our existing re-roofing teams to provide an even more enhanced all round service to our customers. Building Regulations – Trust A Company Who Knows. When considering whether to renew your roof covering you should be aware that there has been a substantial change to the law with reference to Building Regulations and British Standards which dictate the correct methods and materials to be used in roofing projects. If 35% or more of your roof is being replaced then under Building Regulations your local authority needs to be notified and you require a Building Control Certificate. This is law. Failing to carry out the aforementioned can mean you may be unable to sell you property in the future (without the certificate). Furber Roofing is a member of Competent Roofer; a Government licensed scheme which allows us to self certify our refurbishment work on all domestic, industrial and commercial properties. This takes away the burden of paperwork and cost to you – we do it all for you…..for free. On the 28th February 2015 the new British Standard for Slating and Tiling (BS5534) became mandatory. This provides details on best practice to the installation of pitched roof coverings. Although there have been a number of reasons for the update the main driving factor has been increased frequency of extreme weather such as gale force winds and driving rain. All re-roofing projects are fully guaranteed with our 10 year written guarantee; also 10 year Insurance Backed Guarantees are available. By using a member of Competent roofer you get the added reassurance that not only have we been audited prior to joining but that our work undergoes regular inspections.